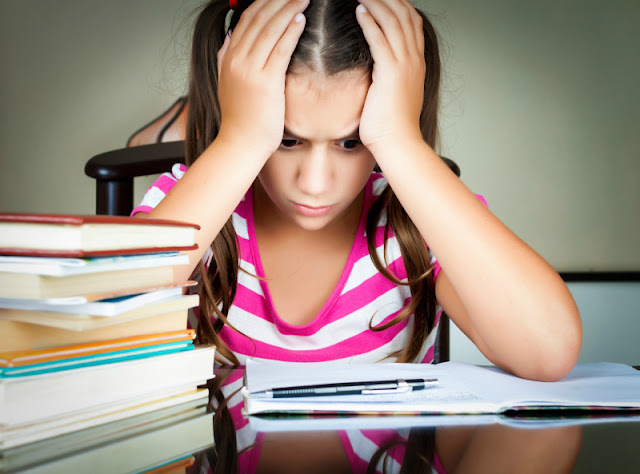 Are your kids bored or in a bad mood? 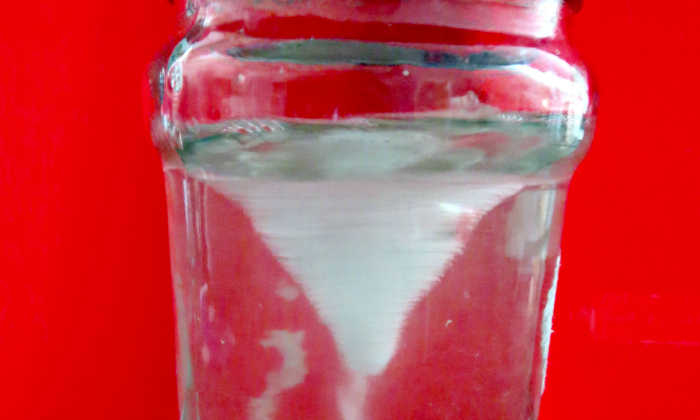 Try this quick science activity to keep them busy: tornado in a jar. Tornado in a jar is one of those classic experiments, right up there with baking soda and vinegar and even easier to set up. However, we have not done it until now. On Monday Smarty came from school in a bad mood - our sunny California girl is not used to overcast skies and on again off again rain. After cuddling for a while, I suggested doing some science, and we headed to the kitchen to make our mini tornado. Use the "tallish" jar like the one you see in this picture. 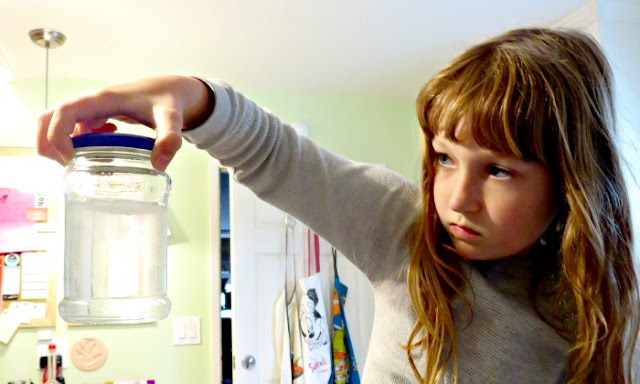 Fill the jar 3/4 with tap water and add a drop of dish soap. First time we added more than a drop, and shaking the jar only produced froth, no tornado. If you have too much soap, scoop it out with a spoon or try again. We tried to add glitter, but ours was too heavy and stubbornly stayed on the bottom, On one hand, it was cool since it was simulating debris moving at the bottom of the tornado, but, I think, only super fine glitter will work for a glittering tornado. Some sites recommend adding vinegar. We did ours without vinegar, and our tornado worked just fine. Don't shake the jar up and down. We got the best results by energetically giving it a whirl with a quick circular wrist movement. 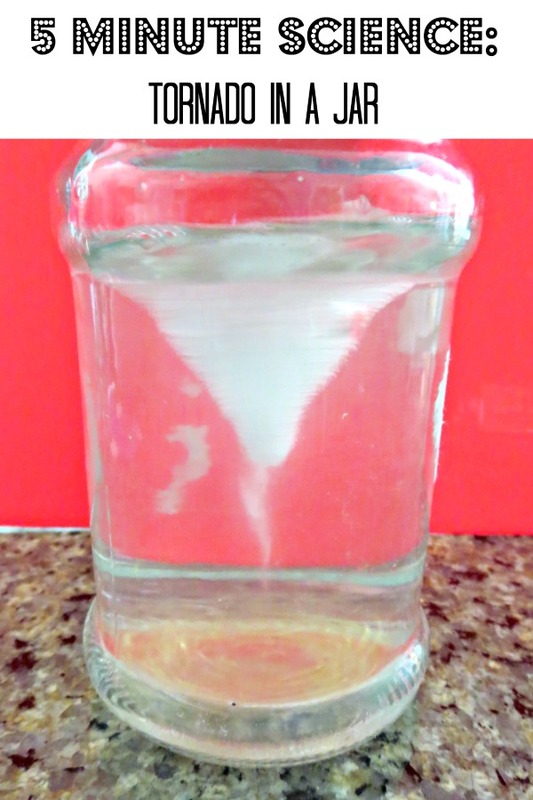 Basically, layers of water rotate with different speeds due to friction against the glass walls, which allows tornado vortex to form. How Do Real Tornadoes Work? What is your favorite classic science experiment? We didn't do this last year for tornadoes, but used a tornado tube. I might have to give this version a try as well.